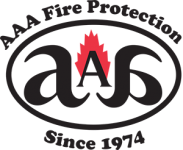 AAA Fire Protection Services is a fire suppression leader that Pleasanton commercial kitchens have come to rely on for compliance and ongoing cleaning services. After 40 years of serving the needs to Bay Area commercial kitchen clients, we are experts when it comes to commercial kitchen fire compliance. As such, we offer outstanding restaurant hood fire systems, a grease filter exchange service, and restaurant exhaust cleaning services. Not only will we help you obtain compliance, we will keep you there. Grease exhaust cleaning is one of the most comprehensive ways to reduce the risk of fire in a commercial kitchen. Because grease builds up in the kitchen hood systems ductwork over time, when a fire occurs, it's like throwing gasoline on it. Replacing exhaust hood filters with UL300 compliant filters helps reduce the amount of grease that builds up in the ductwork. The new UL 300 compliant grease hood filters fit snugly into the frames, so grease does not bypass the filter. Understanding how all of this works is what makes us an expert in fire suppression for commercial kitchens. For more information about working with our team or for a kitchen walk-through with a detailed quote specific to your business, just give us a call at (800) 543-5556.